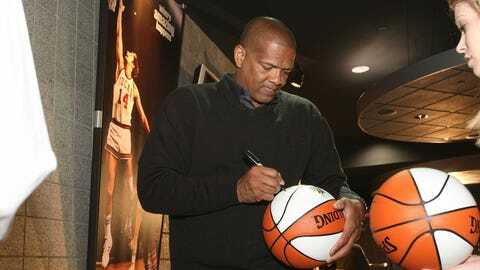 Last month ESPN aired the college hoops Hall of Fame induction and FOX Sports analyst Marques Johnson was honored. The only problem is that they left out some of the most entertaining footage of the ceremony. Not only did Johnson go down into the hall for getting accolades like AP College Player of the Year, or the John R. Wooden Award, but he made history at the induction. He went down as the first player to ever stop the show and take a selfie.